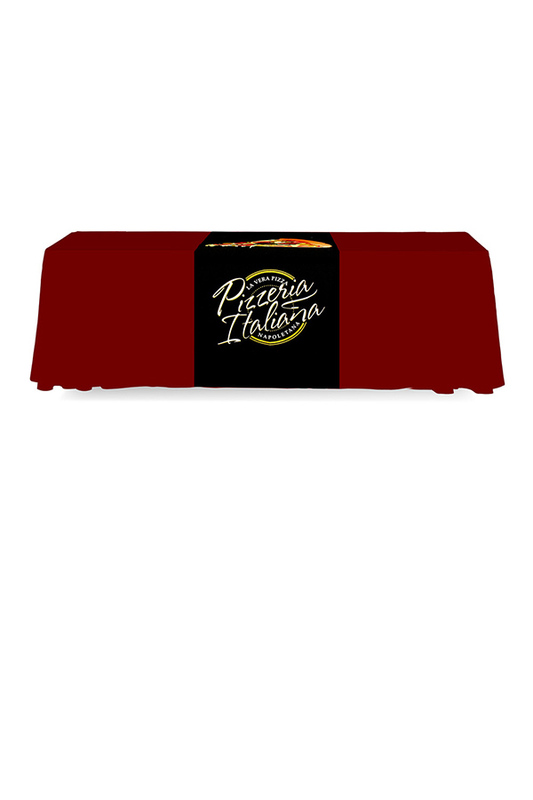 Order one of our standard options, or contact us for a custom size made just for your table. 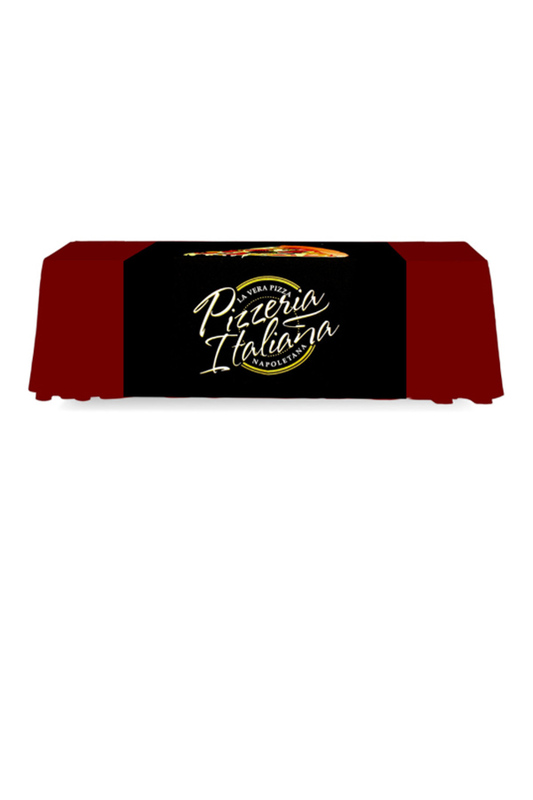 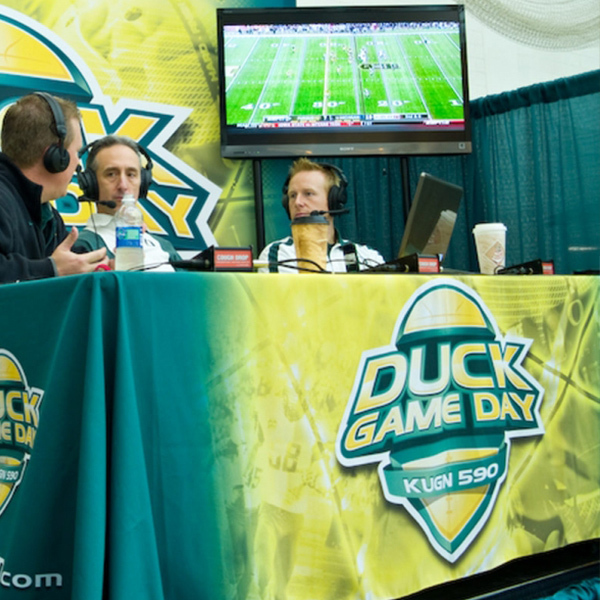 Sized to fit a standard 6 ft event table, this full-color table throw allows access under the table from the back, and is lower cost than a full table throw. 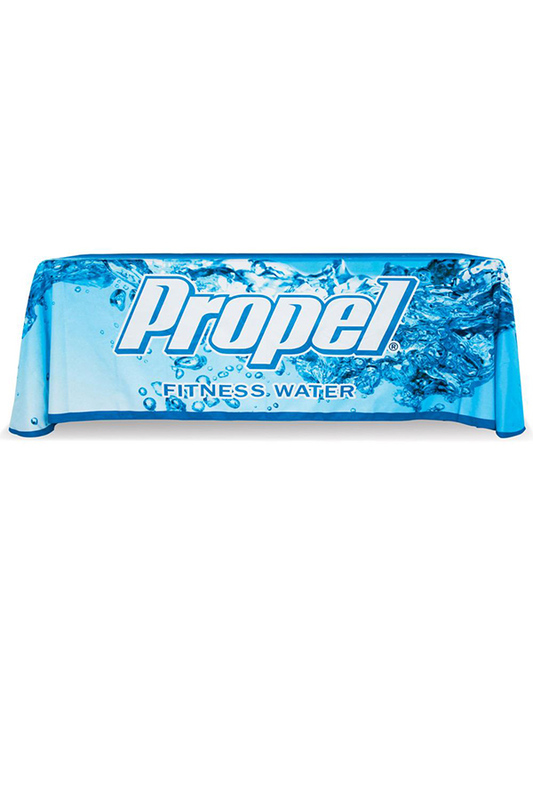 Durable and professional, the print is actually heat fused into the fabric, not just sitting on top. 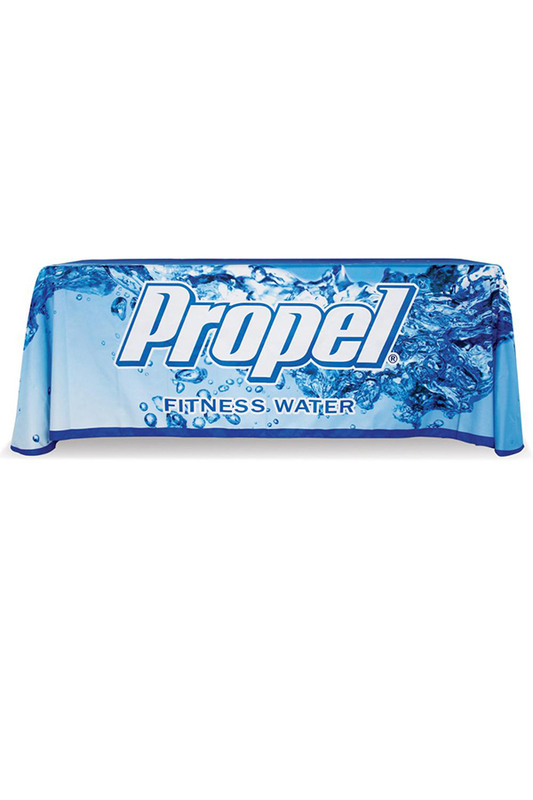 Sized to fit a standard 6 ft event table, this full-color table throw looks beautiful on all four sides. Durable and professional, the print is actually heat fused into the fabric, not just sitting on top.